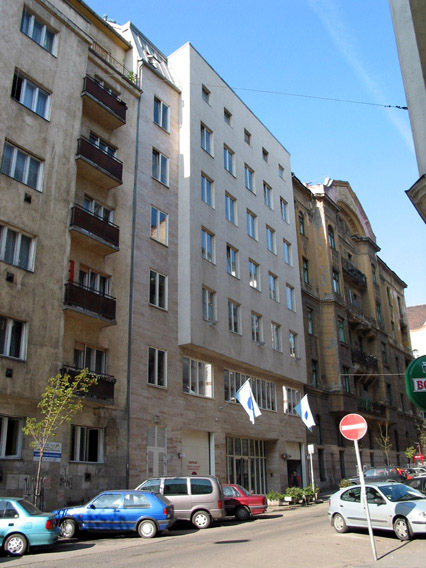 Our department is located in the Lágymányosi street (11th district, Budapest) building of MTA SZTAKI, in the neighborhood of Móricz Zsigmond körtér (square), a major hub of public transport. 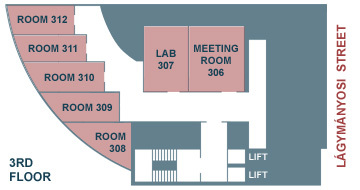 Rooms 308, 309, 310, 311 and 312 and the lab (307) belong to the department. 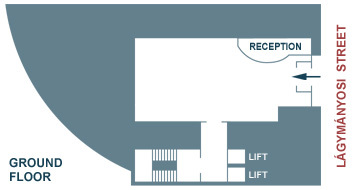 Meetings can be held in the meeting room 306.